In the first century CE, pigments were collected from every corner of the Roman Empire in order to offer artists a diverse palette of colors. Here, the painter used black for the background and bold shades of red, brown, beige and green to create the colorful border. The circular ornament was painted in beige, red, pink and framed by a yellow band. 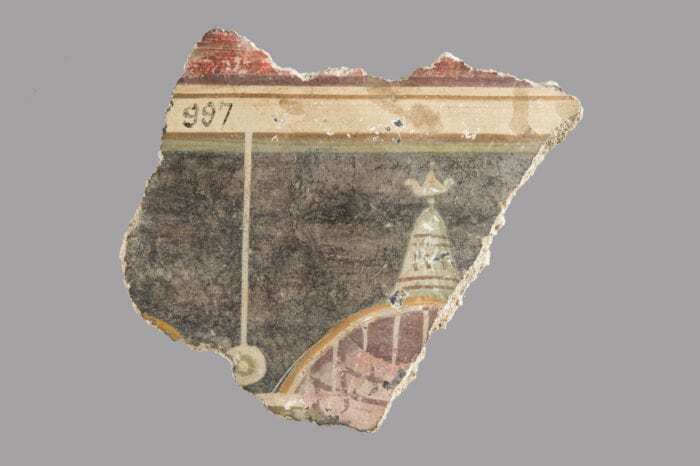 The artist of this fresco appears to have blended red with white to produce this pastel pink, since pink was not a natural pigment in Roman wall painting.